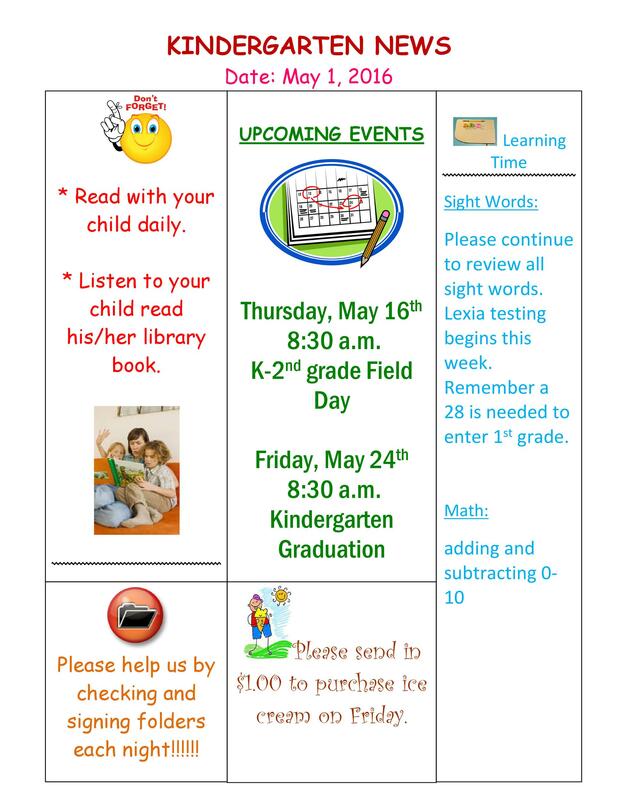 For most parents, it can be quite challenging to keep track of everything that’s going on in their child’s preschool. 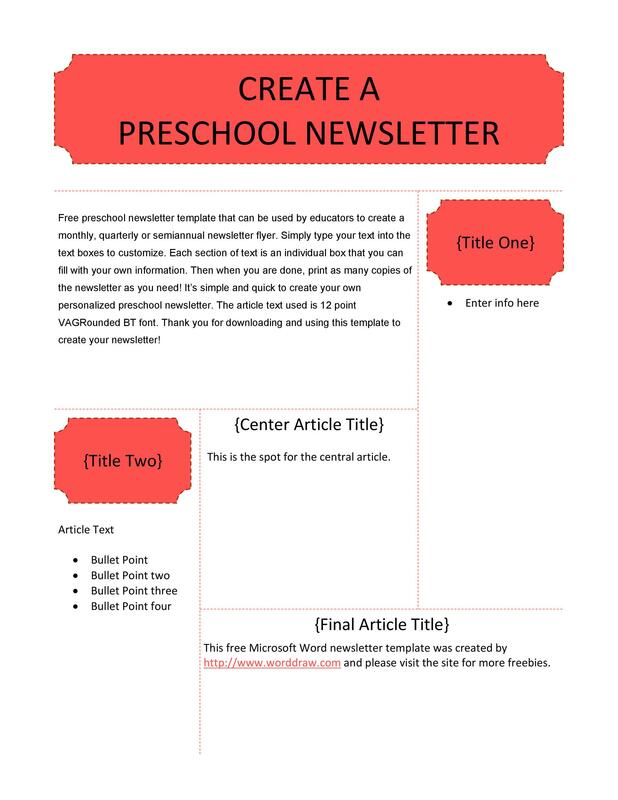 But if you create a preschool newsletter template to send to the parents, you can use this as an effective communication tool to keep everyone well-informed. 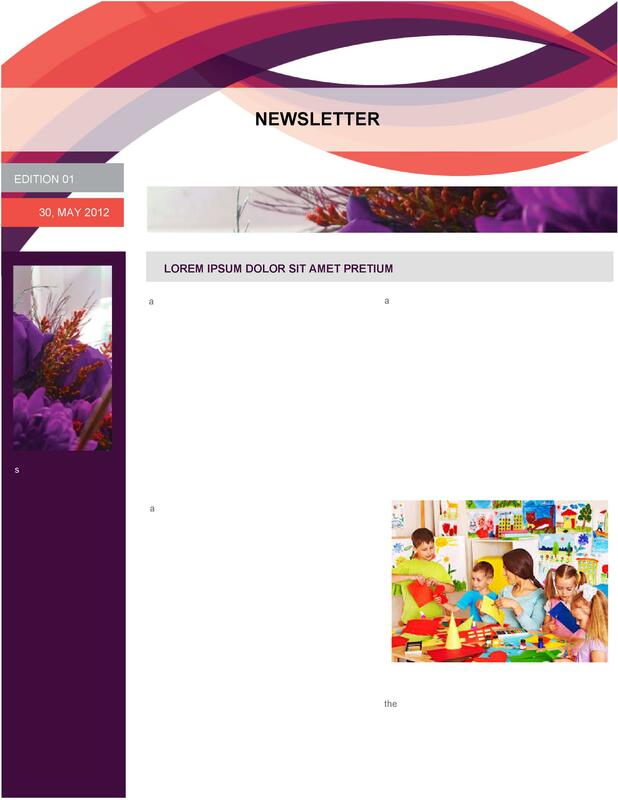 2 Why make a preschool newsletter template? 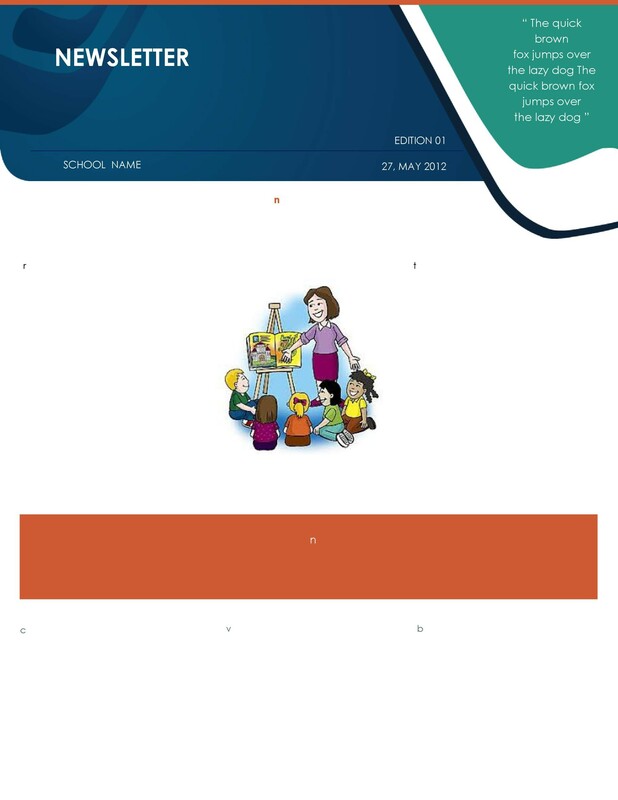 Based on the different modules that your kid’s school follow, you can prepare the template to best suit your requirements Whether you want to make a formal parent newsletter template or a casual one, make sure that its parent-friendly. 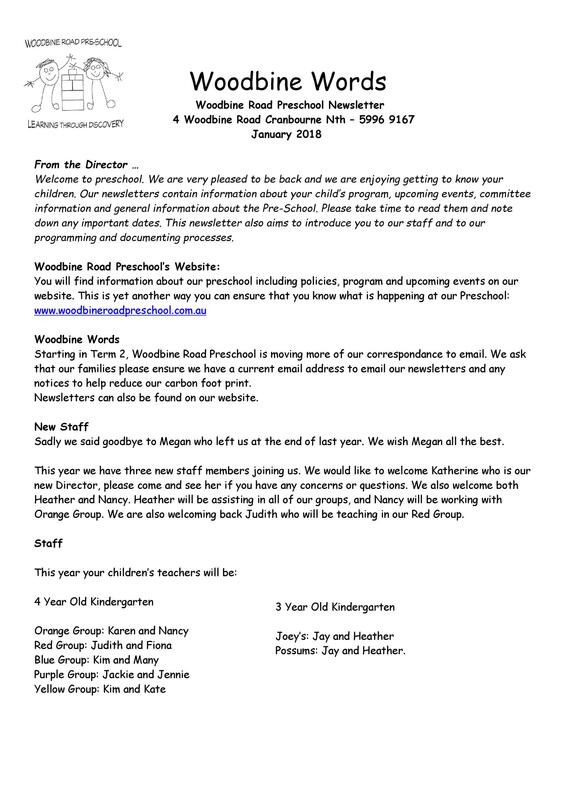 Why make a preschool newsletter template? 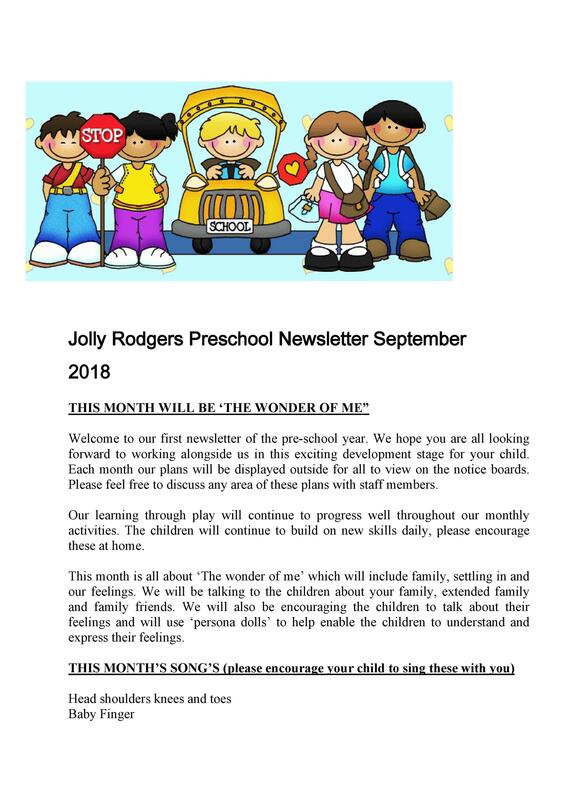 Having a preschool newsletter is one of the most efficient ways to communicate with the parents about everything that’s happening in the school along with other relevant information that they have to know about. 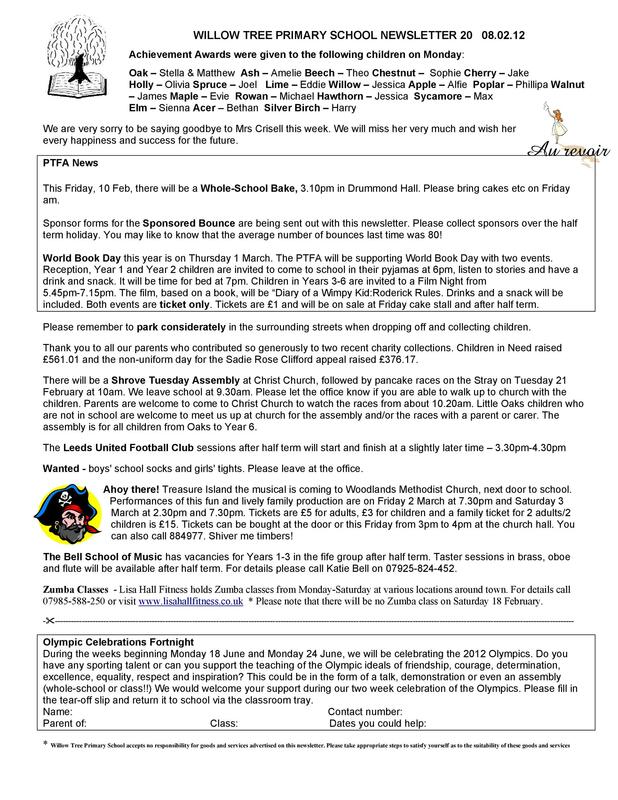 The content of this newsletter would depend on whether there are any ongoing events in the school or not. 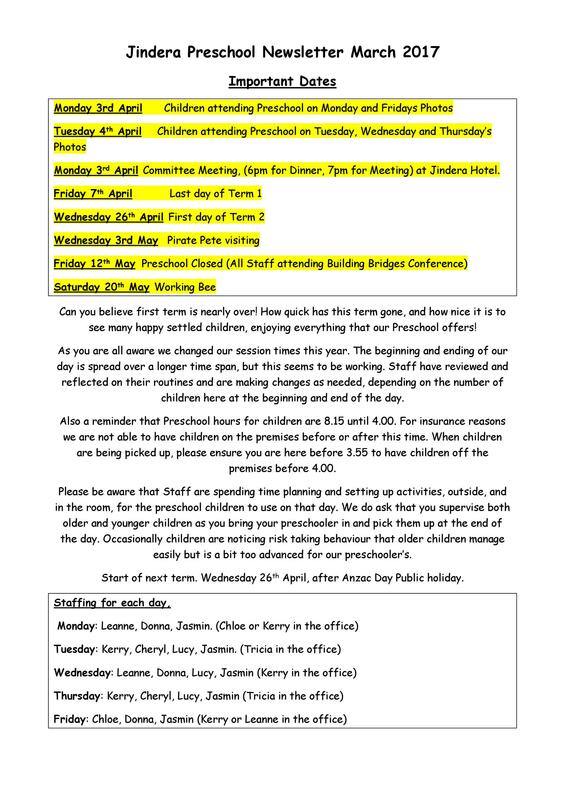 The most important purpose of this document is to inform the parents of what to expect in the next weeks or month. This would give them some time to fix their schedules and prepare their budgets if they need to pay for anything. 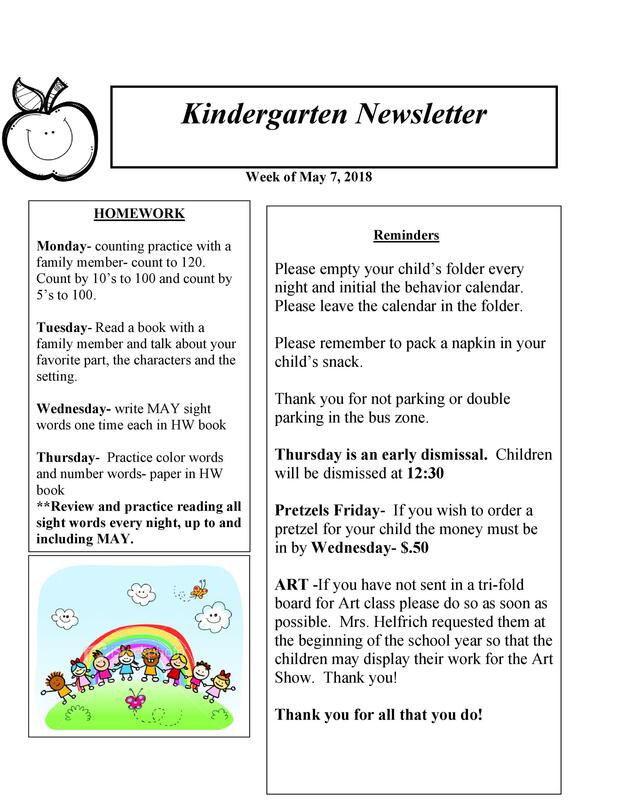 If you look at different daycare newsletter templates, you’ll realize that it’s not just for documenting all of the activities done by the students in and out of the school. 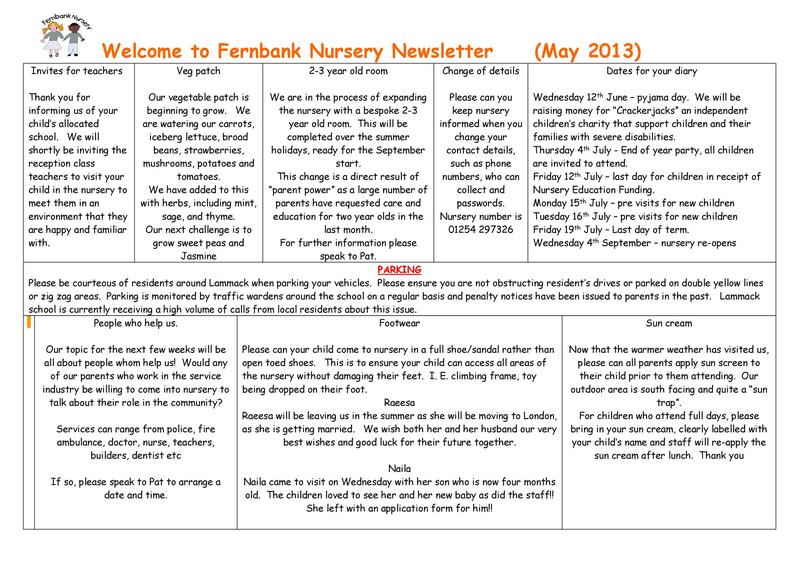 You can also use the newsletter to inform the parents of any staff changes, staff events, staff complaints, and more. 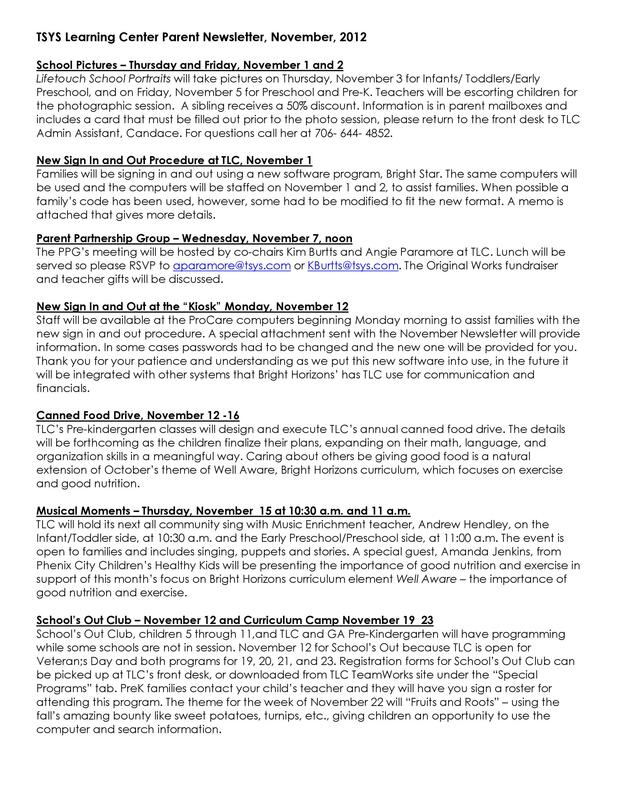 Also, you can include a calendar of events for the parents to see what’s coming up next. 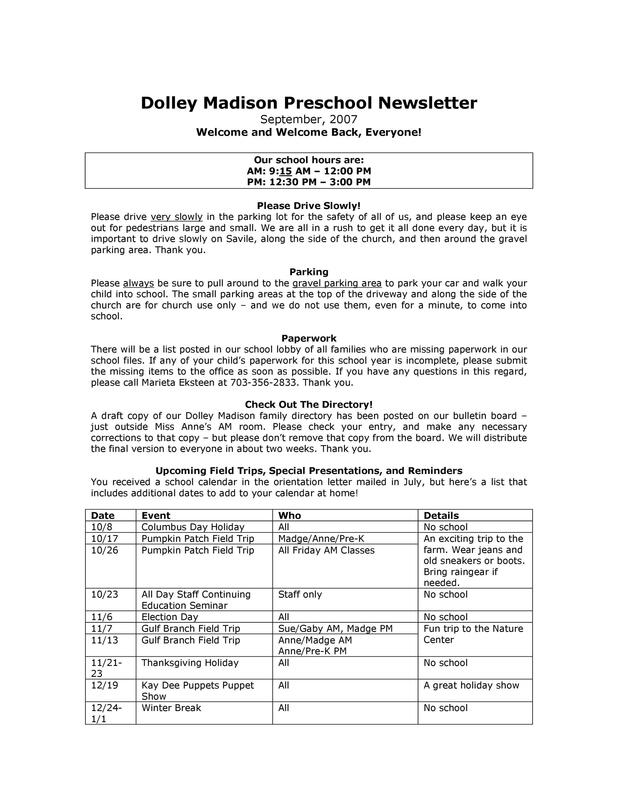 With all of these in mind, you will see why preschool newsletters are of the utmost importance. 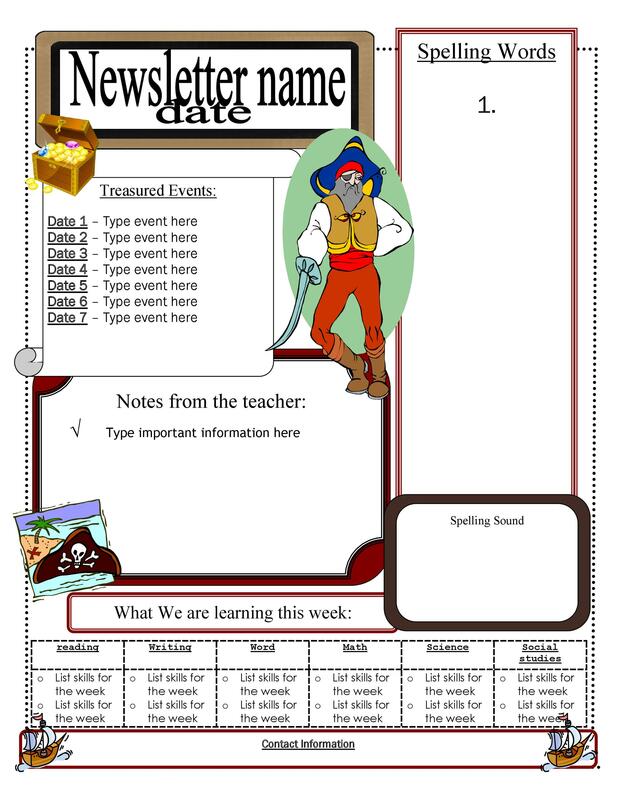 Making a preschool newsletter template is an excellent way for you to share information about your school and your students to the parents. 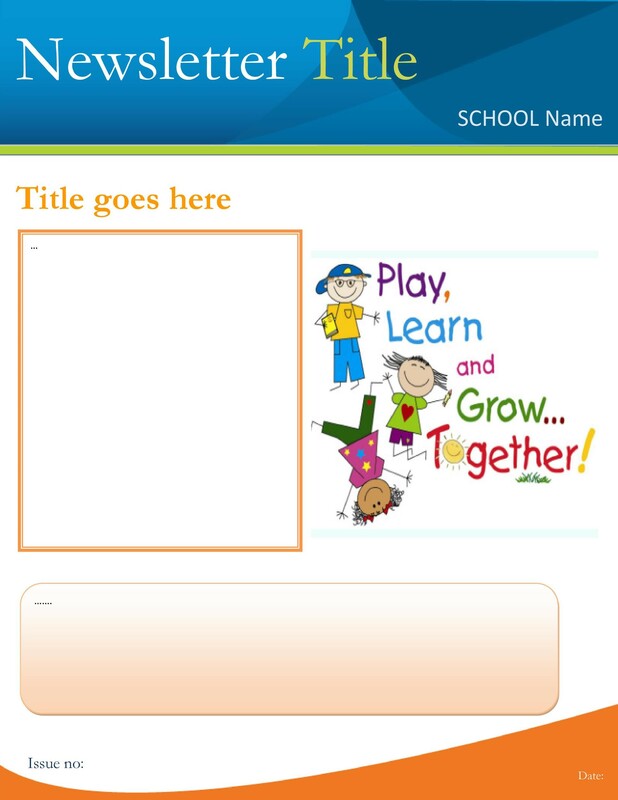 You can either create the template on your own or customize these convenient daycare newsletter templates. 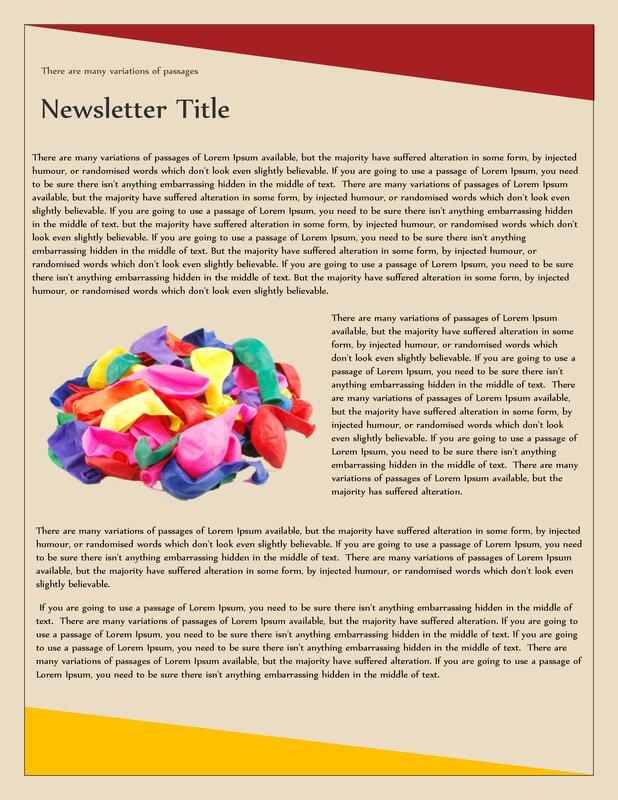 Begin your newsletter with a personal note written by the editor. 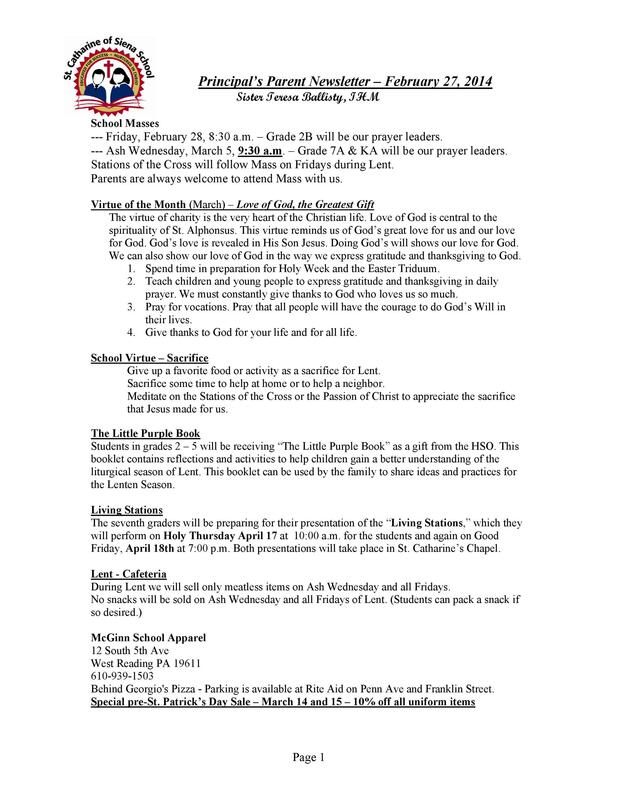 Even though you aren’t able to personally communicate with all of the parents in the school frequently, it’s important to find ways to reach out to them, and one way to do this is through the school’s newsletter. 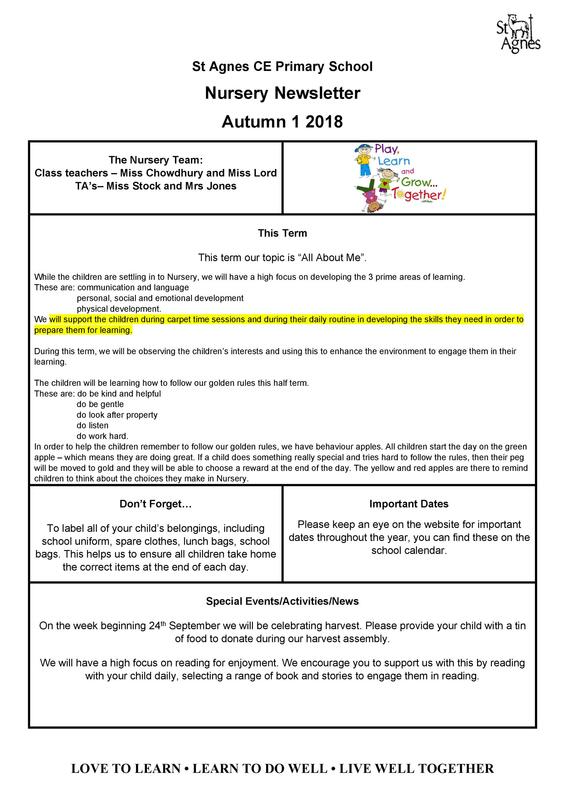 Adding this personal touch may encourage the parents to get more involved in the school and more open with you in case they have any issues or suggestions. 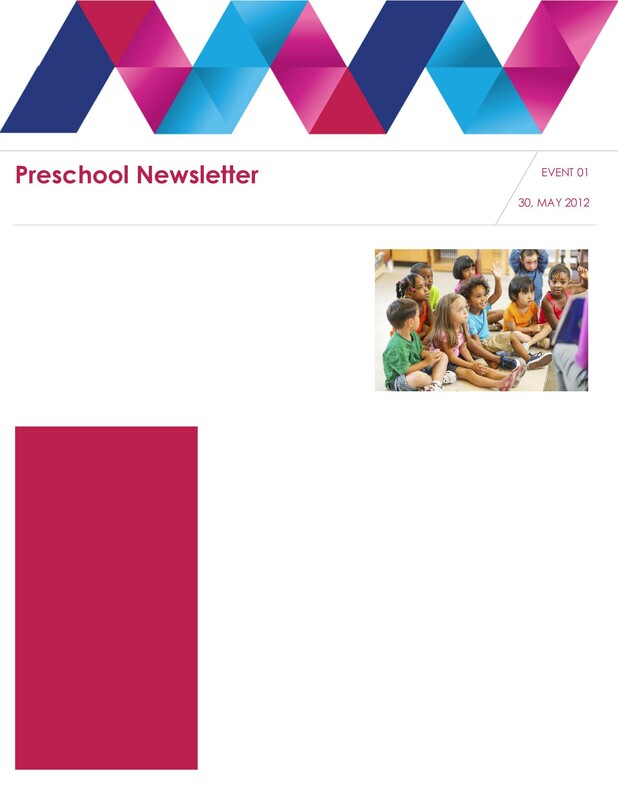 Since the newsletter is for a preschool, it should have a fun and playful design. 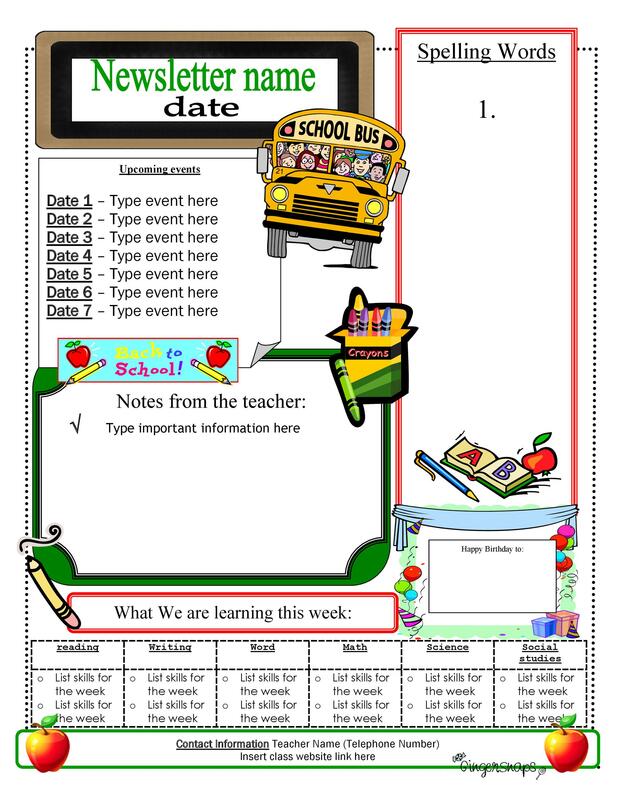 You can base the design on the events you’ve had during the month then add some photos of the students in action. 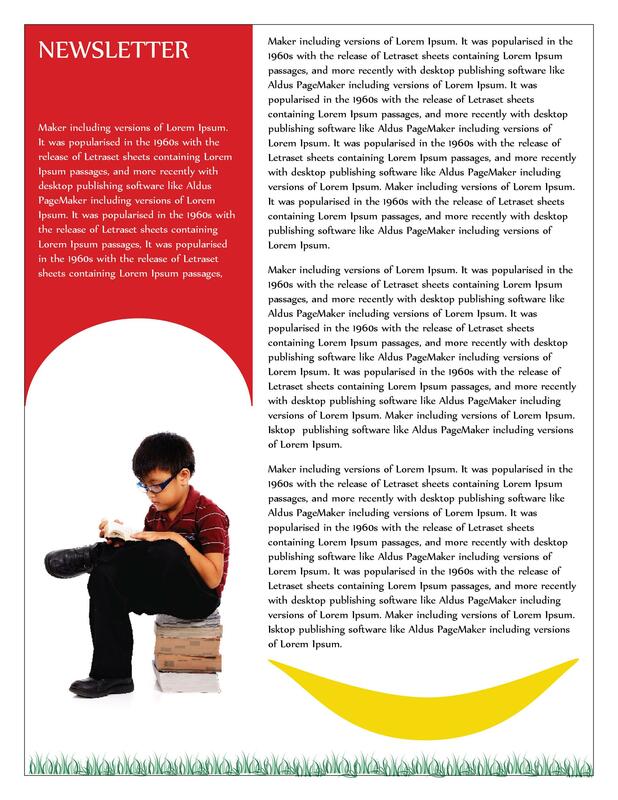 You can also add some short captions to explain the activities of the children in those photos. In terms of the content, make use of large headings, highlighted text, and bullet points to make everything easier to read. 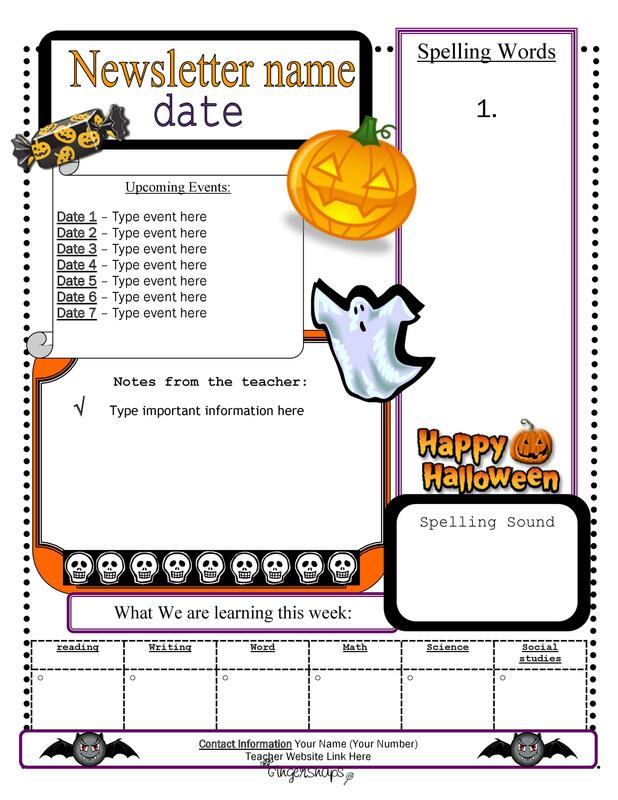 This will allow the parents to skim through the content and pick out all of the most important points. 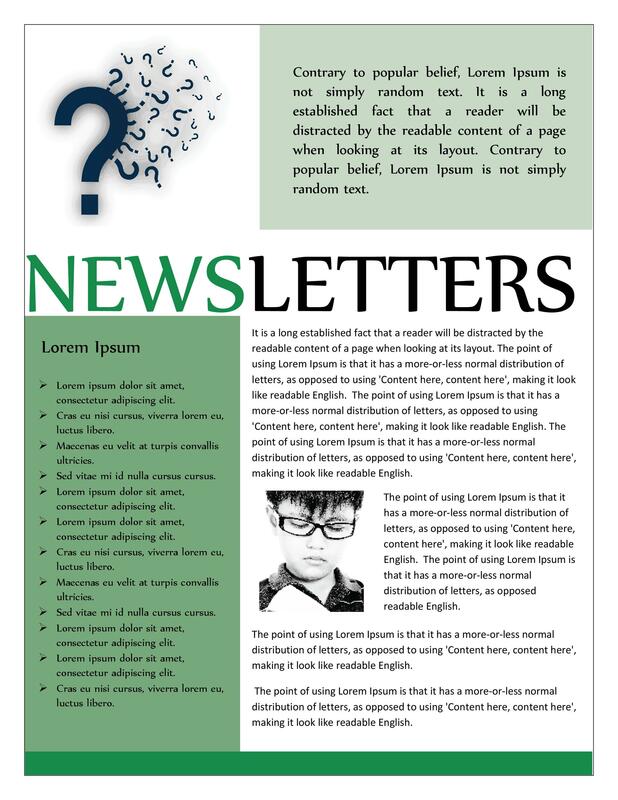 It would be very embarrassing to send out a newsletter which has a lot of grammatical or spelling mistakes. Therefore, you have to proofread the document at least 3 times before printing it out. 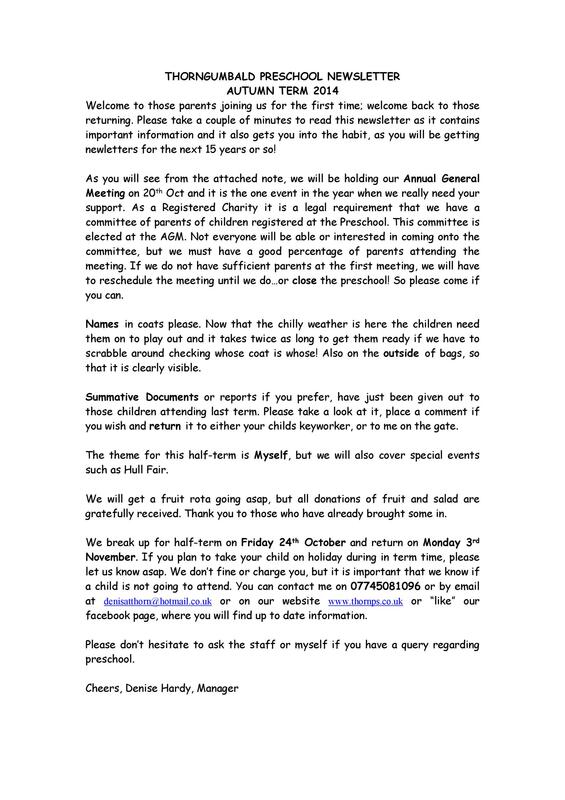 It would also be a good idea to ask different people to proofread the newsletter to make sure that there aren’t any errors. Asking the older preschoolers to make artworks for you to feature in the newsletter. 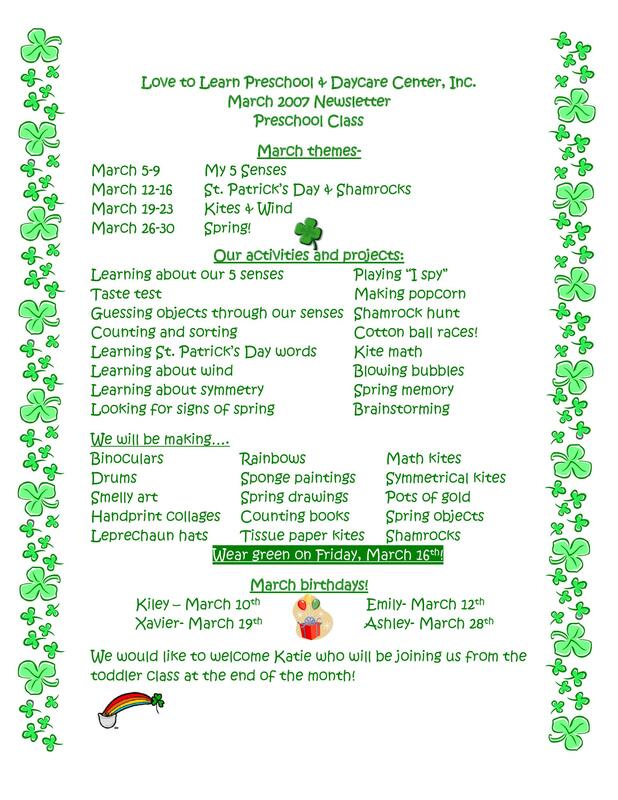 Allowing the children to talk about the activities they’ve done then use these quotes from the children as the caption for the photos. Interview the children about the activities they’ve done or the values they’ve learned at school. 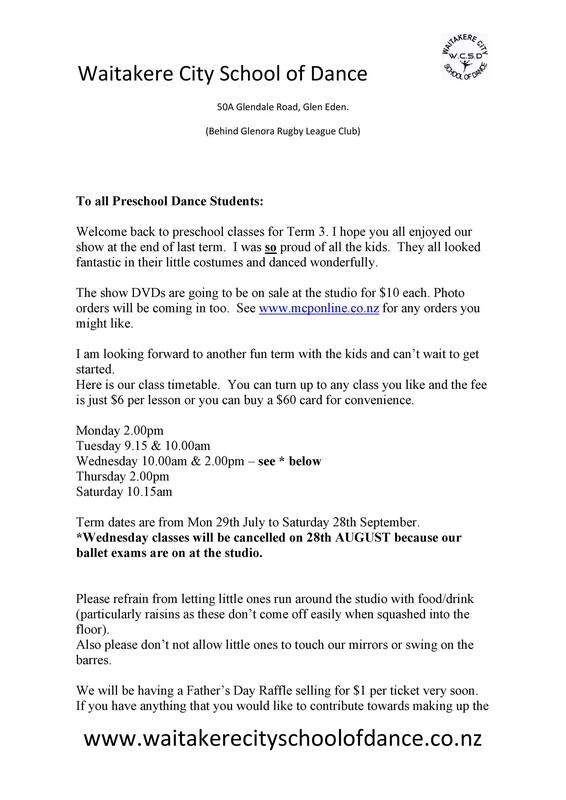 Then feature the transcript of the interview in the newsletter. 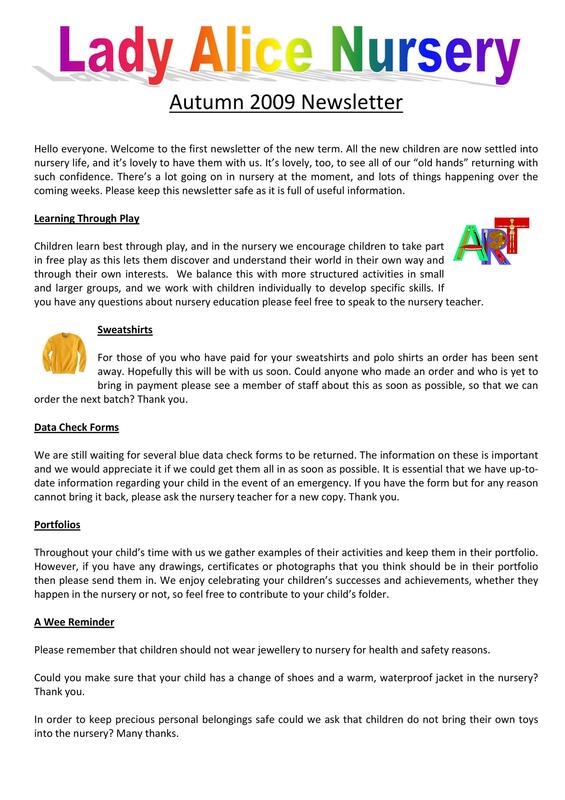 This is one of the most interesting parts of daycare newsletter templates, especially for the parents. Some parents don’t see how relevant playtime is to the growth, development, and learning of their children. The good news is that educators can best explain what children can learn through play. Sharing this information may help enlighten the parents and make them understand how playing games is an excellent way for their kids to learn the skills they need while having fun. When they understand this, they will understand their children better and hopefully, build better relationships with them. 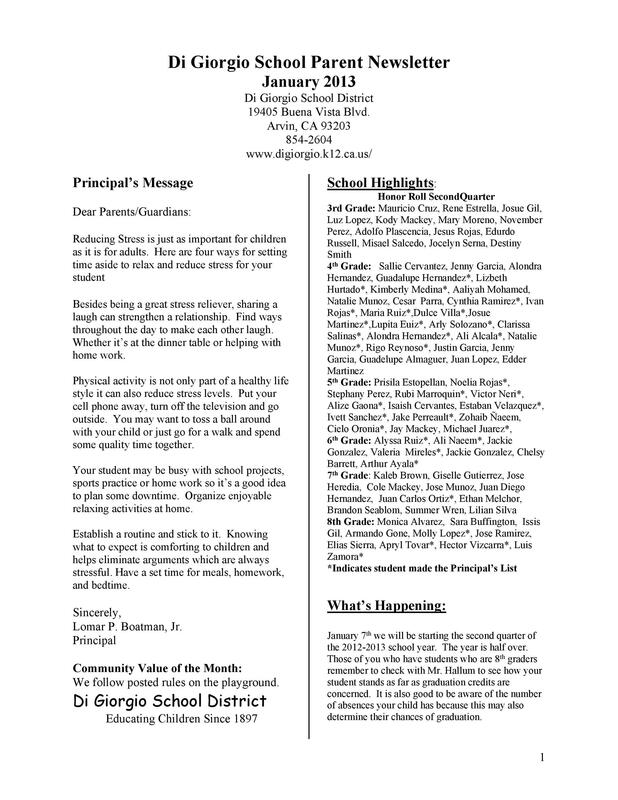 Remember that the people who will read your newsletter are the parents of your students. Therefore, it’s best to stay away from educator jargon which they might not fully understand. Since you want to convey a message, do it in such a way that your audience which, in this case, are the parents, will comprehend what you’re trying to get across. 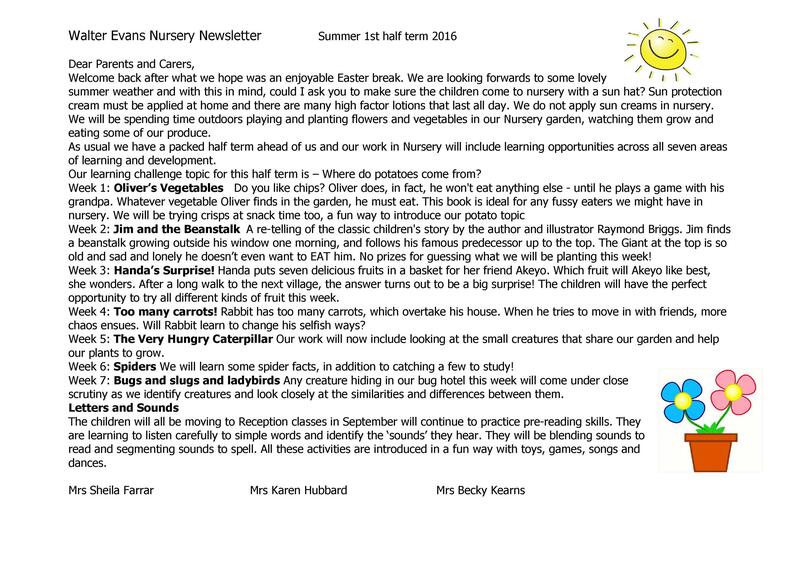 Also, if your newsletter contains a lot of jargon, the parents might get disinterested in reading it. 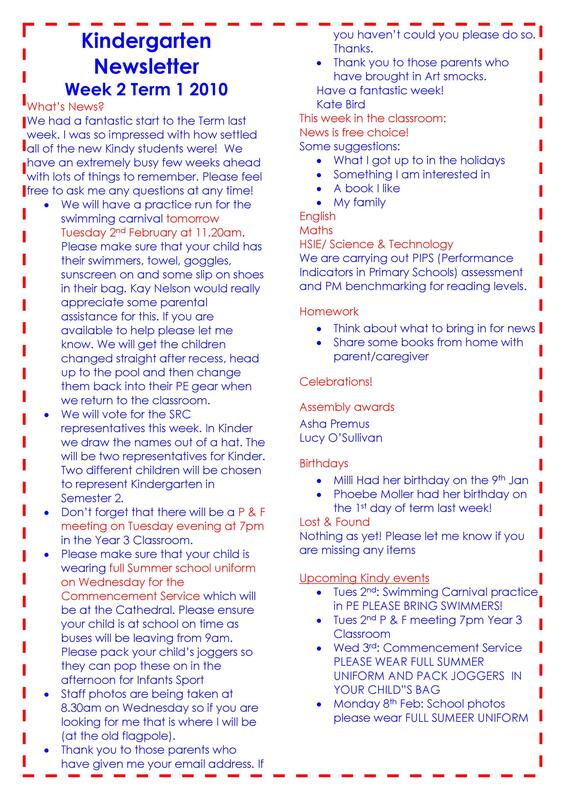 To do this, you can create a section in the newsletter which features any opportunities for parents to get involved in the school’s activities. For instance, you can ask them to bring in some recycled materials for projects, photos for art activities or even come in once a week or so to tell stories to the kids. 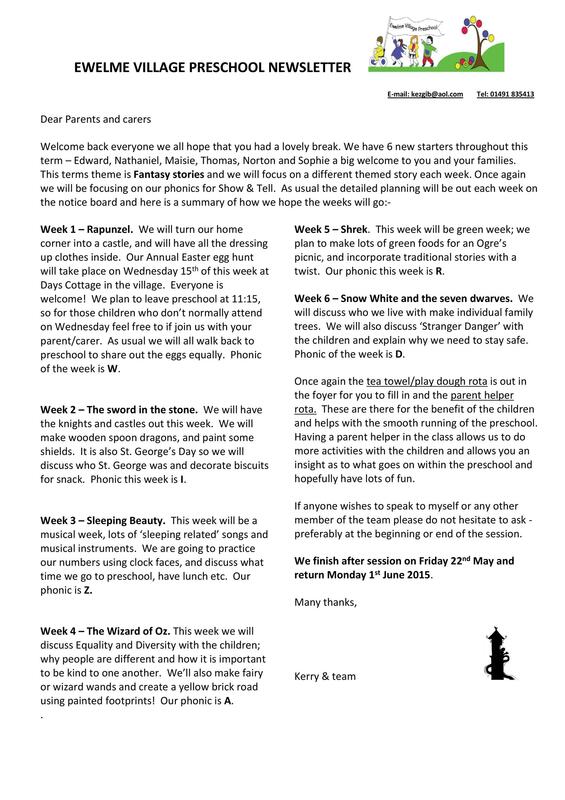 There are so many ways you can involve the parents and the more you welcome them to your school, the happier they will be to come and share what they can. 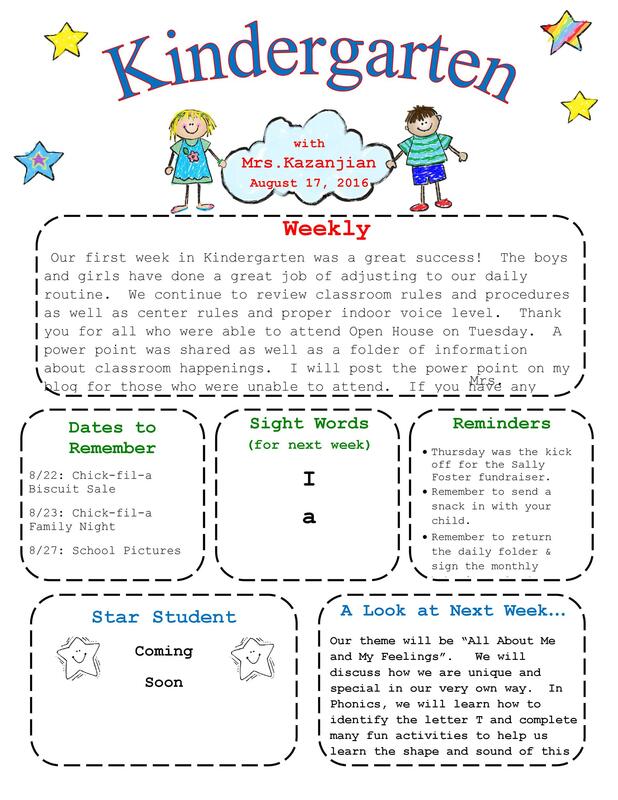 Requests and reminders are an integral part of a preschool newsletter template. For this part, try to be as direct and as specific as possible. 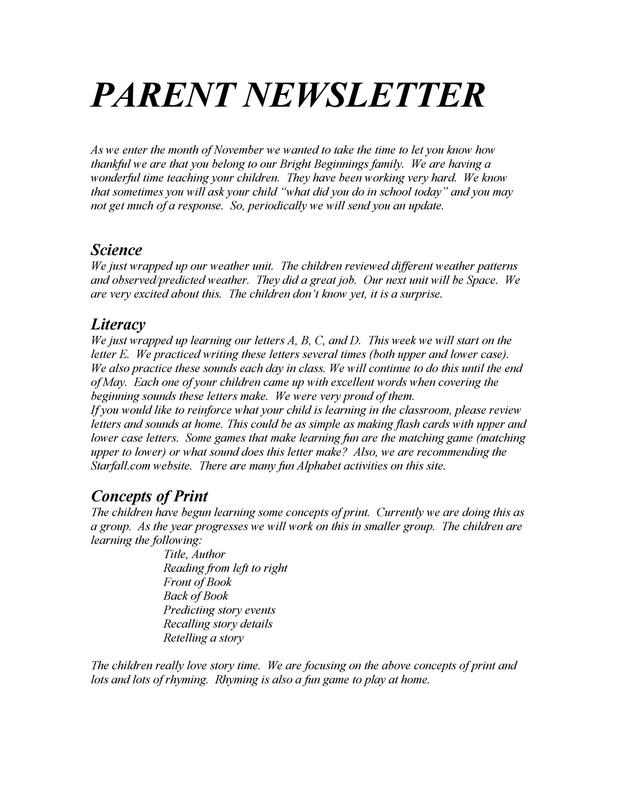 That way, your parents won’t misunderstand the information then blame your newsletter for their mistake. This is especially true if you need to remind them about event dates, submission or requirements, and more. 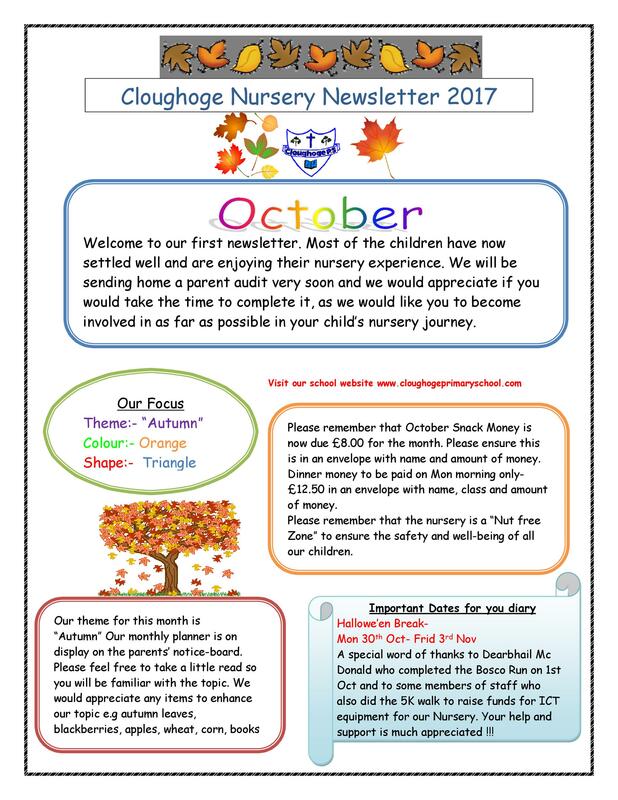 Most schools send out monthly newsletters to their parents to keep them regularly involved in any events and activities. 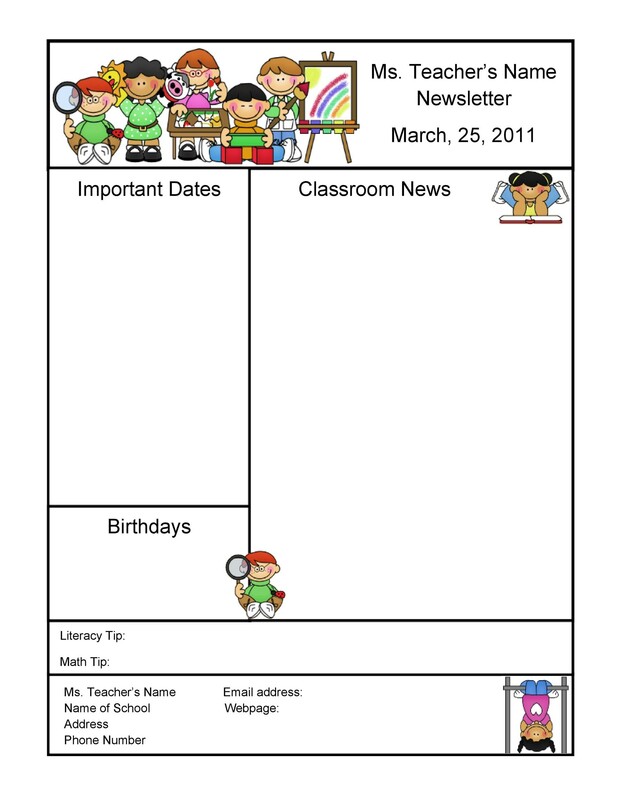 If you plan to send the newsletters monthly, make sure to do so regularly. 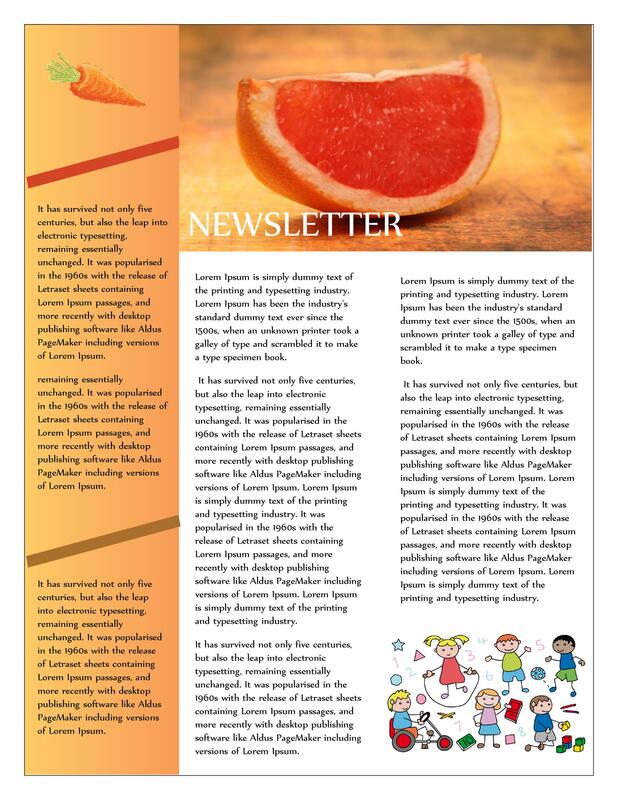 To make sure that the newsletter comes out on time, assign a team of staff members to work on it and have it ready at a specific date each month. 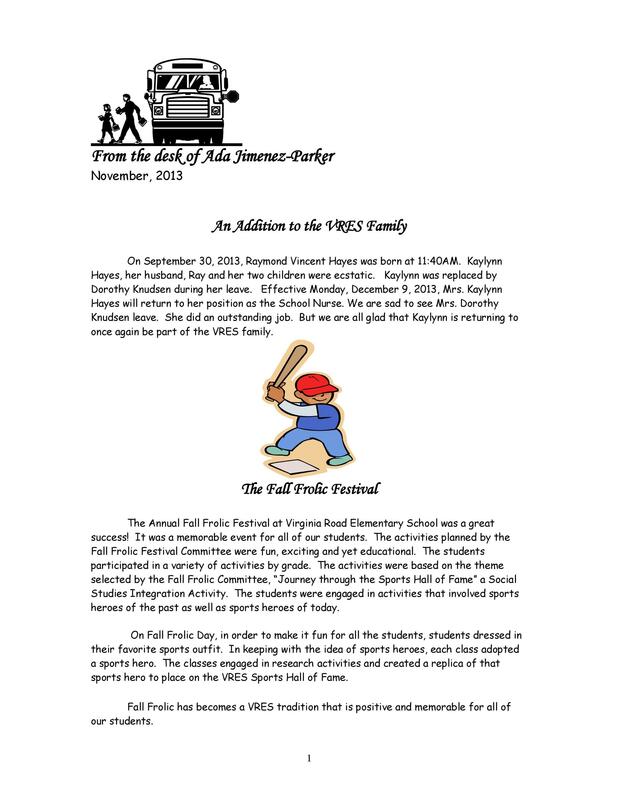 Although this isn’t one of the basic parts of a newsletter, your parents will surely appreciate it. 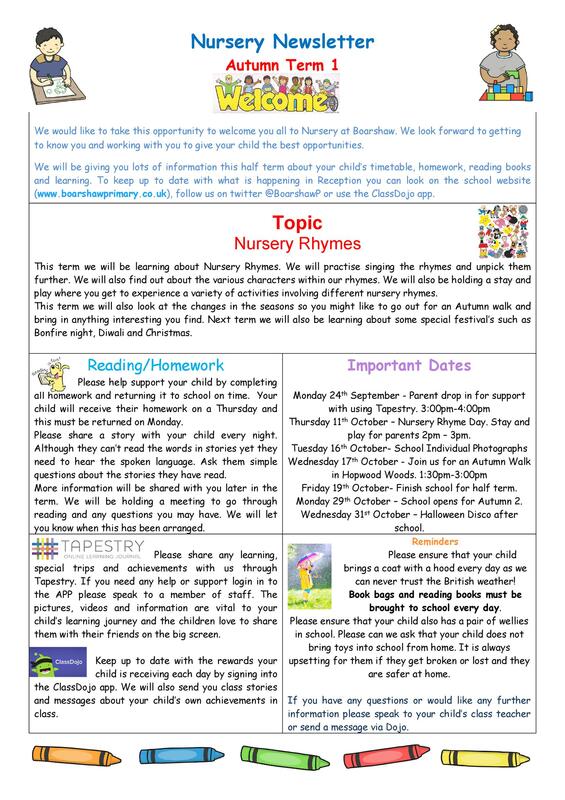 You can share some photos of any new resources or equipment while the children use them. If you’ve asked parents to make donations for something, click a lot of photos and share them on the newsletter to give your parents an idea of what you’ve purchased with the money they’ve shared. 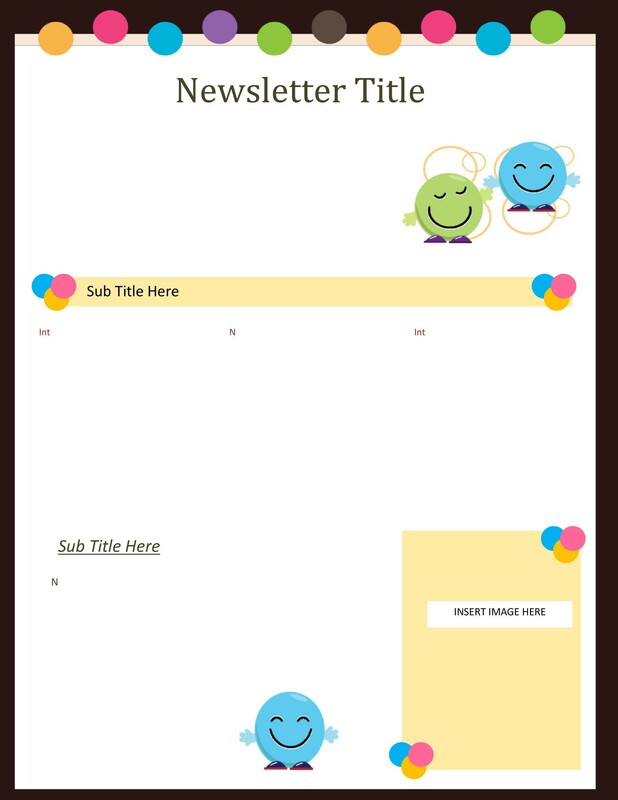 Create a simple but attractive for your template and try to maintain consistency each time you send out a newsletter. 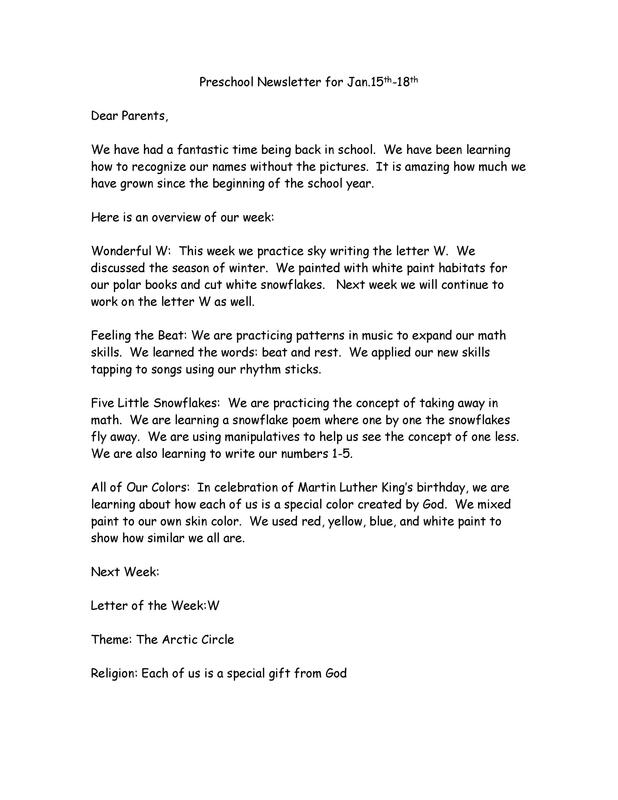 Use the color scheme of your school and include its name and logo in order to brand the newsletter to make it easier to identify. 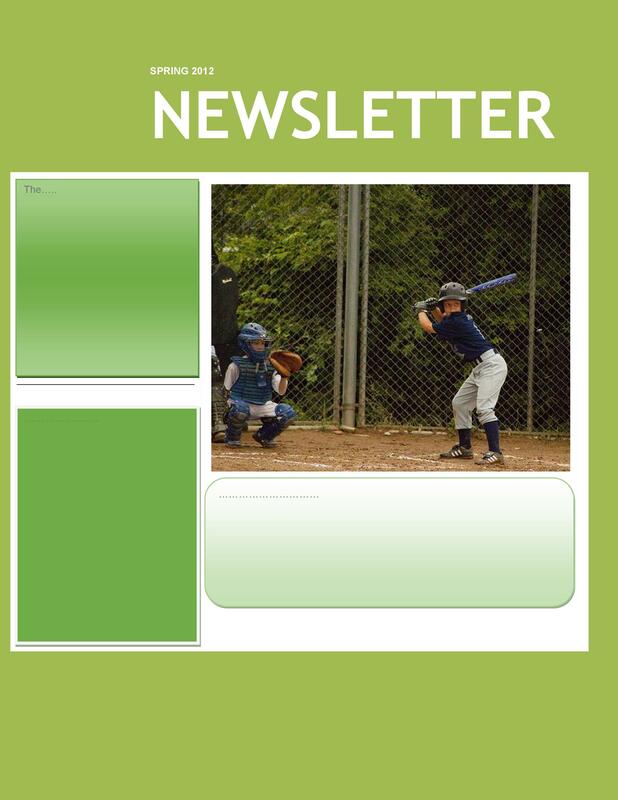 Practice restraint when making the newsletter. 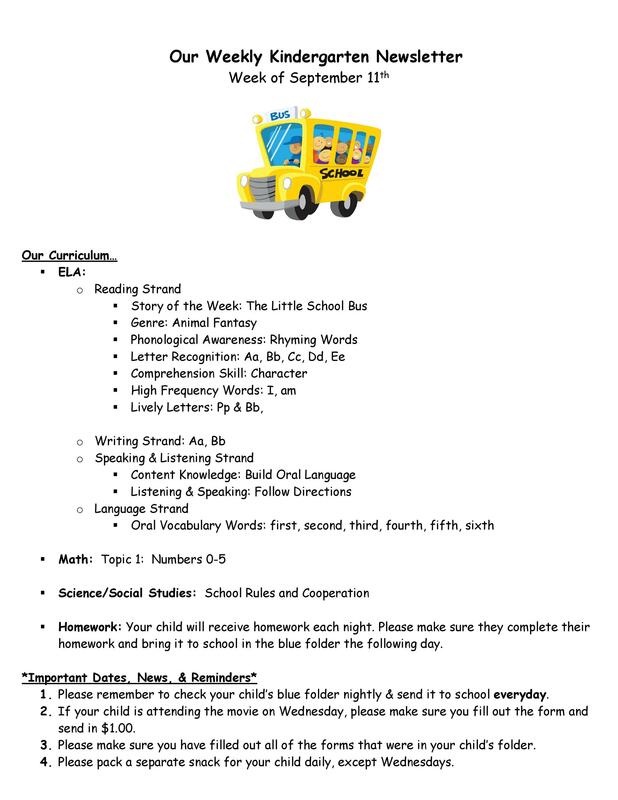 Although it should contain all the relevant information, it shouldn’t be too long, or the parents might not read it. 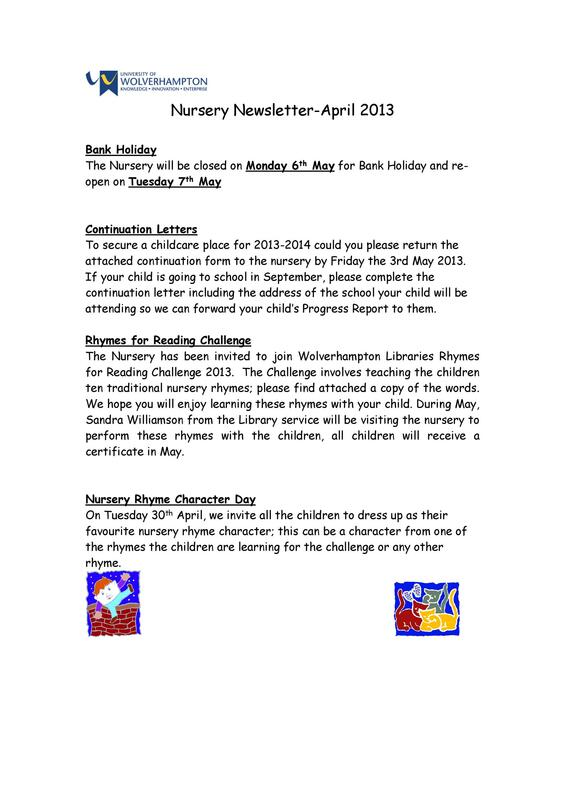 To make the parents aware, include a calendar of events for the month or the whole school year. 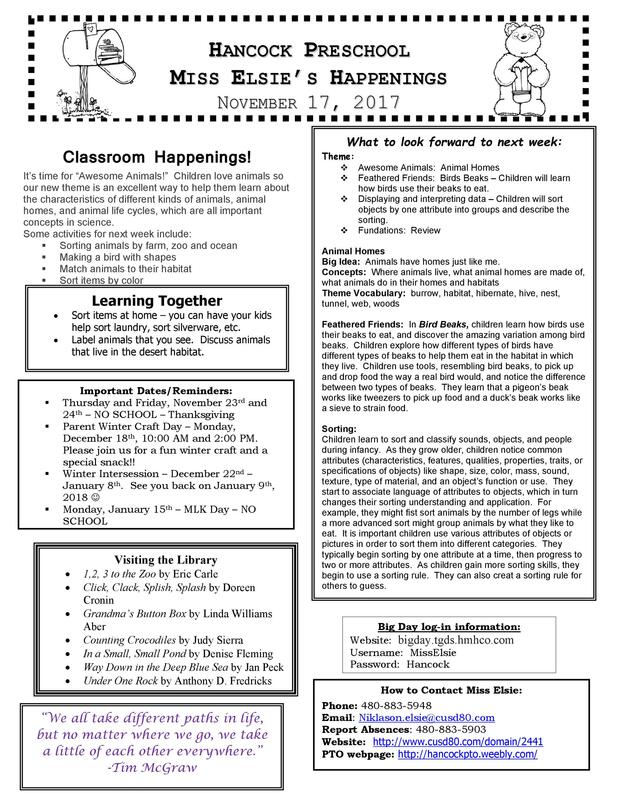 If you had an event at school, include some photos to keep the parents engaged in reading the newsletter. 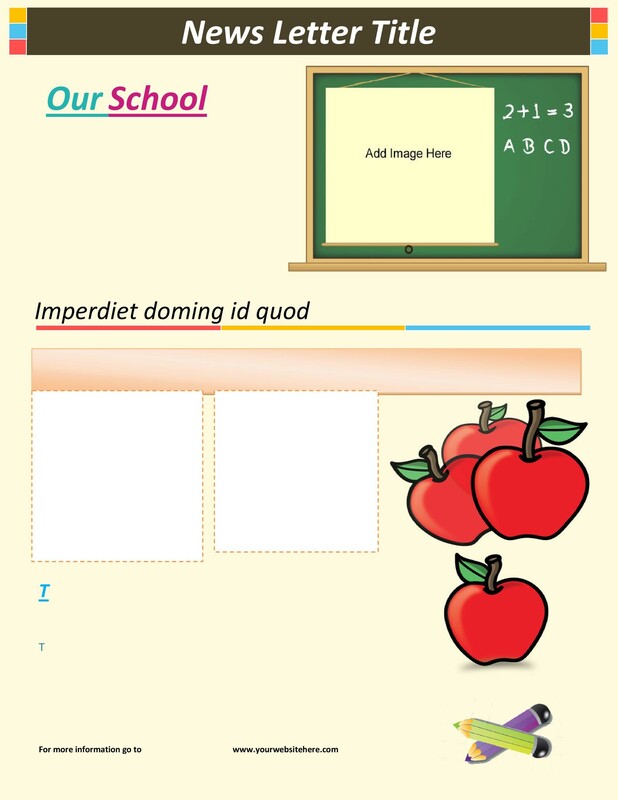 You can also include the school’s menu so that the parents know what their children eat at school. 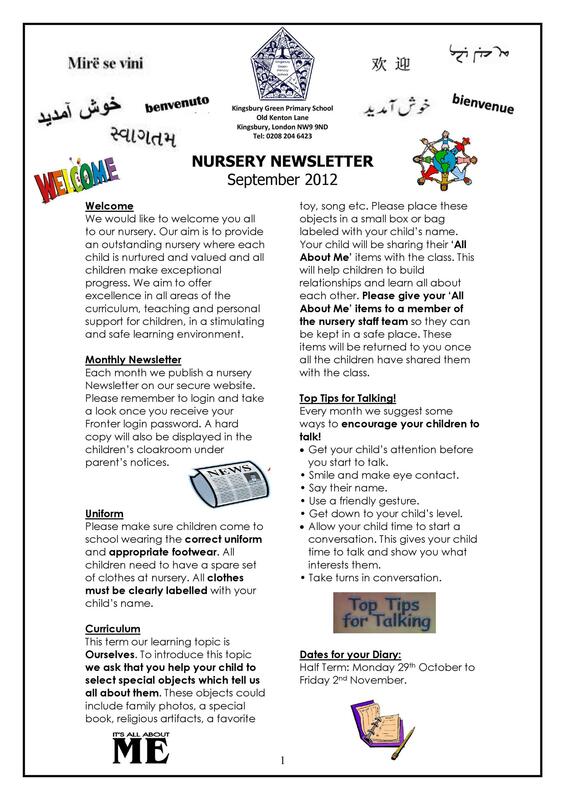 On the front page of the newsletter, place some reminders of your child care policies. Include any and all of the highlights of the month. 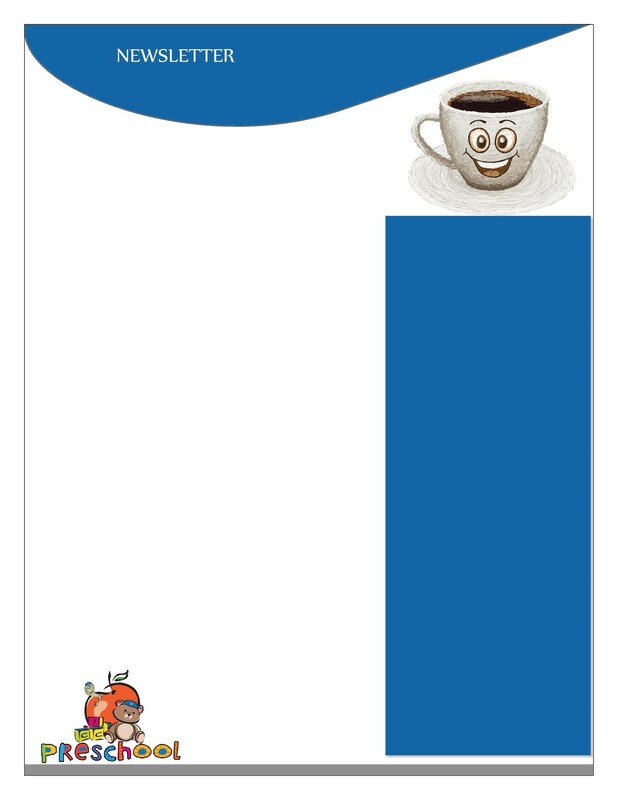 When enrolment time approaches, include a promotion for any parent referrals. 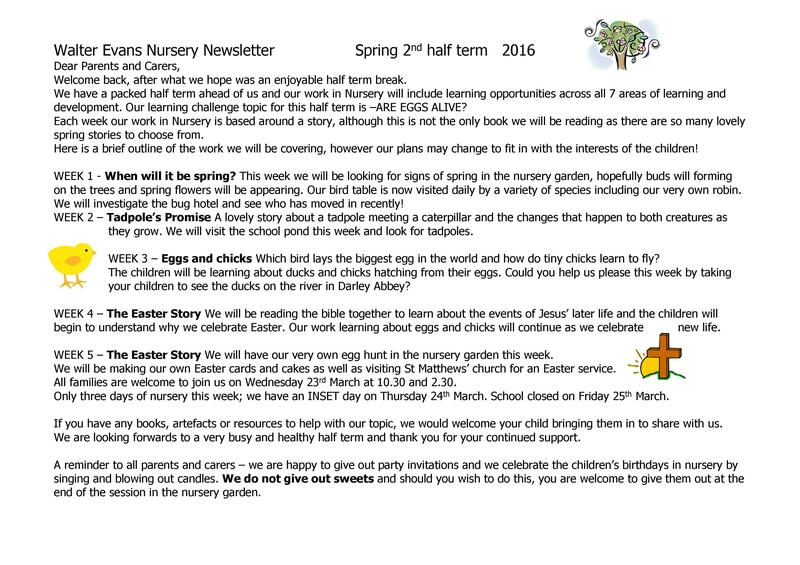 Encourage all your staff members along with any interested parents to get involved in making the newsletter. 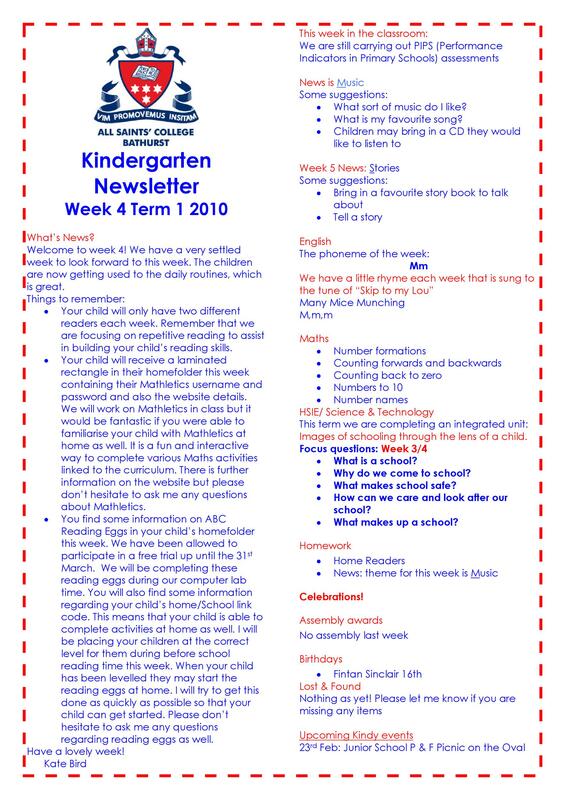 Include a section which contains some interesting tips or facts for the parents. 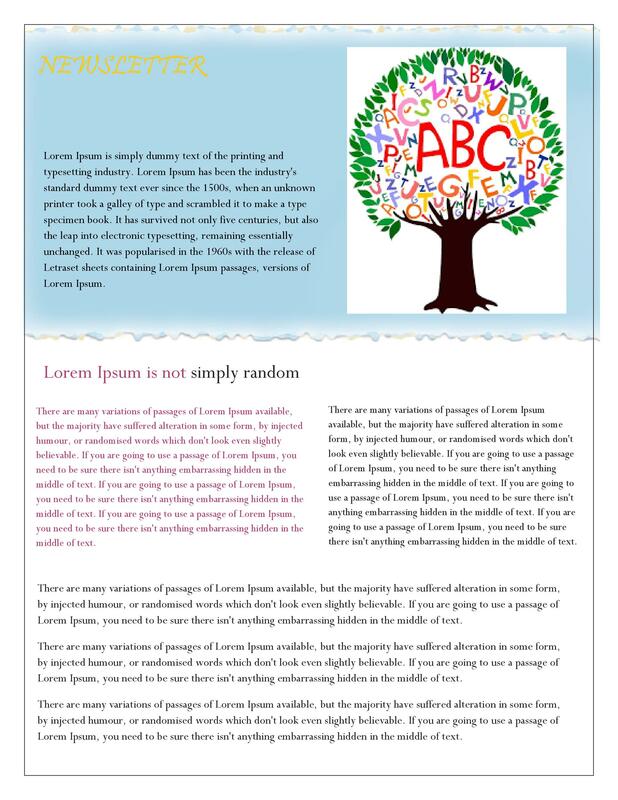 Make sure your newsletter has a simple, clean, and comprehensive design. 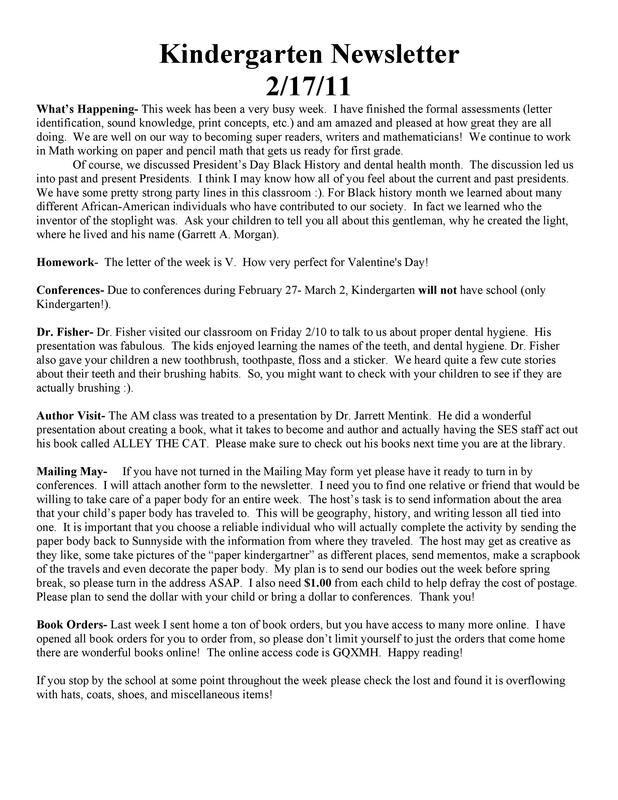 Accept any feedback about your newsletter from your staff or the parents of your school.